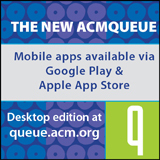 Welcome to the October 19, 2016 edition of ACM TechNews, providing timely information for IT professionals three times a week. ACM president Vicki L. Hanson expects the ranks of women in information technology (IT) fields to grow as computer skills and knowledge become increasingly necessary for all industries. "While most [professionals] will not become expert, basic [computing] skills will be required for them to be effective in their careers and to deal with the myriad of online offerings for communication, entertainment, retail, and government services," Hanson predicts. She also says parallel with this trend will be the hastening obsolescence of stereotypical images of computing professionals. "The efforts of ACM's Council on Women in Computing (ACM-W), as well as ACM-W student chapters, add to the sense of discovery and excitement that will naturally come to many women as they are introduced or (re)introduced to the computing field," Hanson writes. "These groups provide nurturing environments that include mentors, friends, and numerous opportunities for professional development." Hanson cites ACM-W Europe's recent womENcourage conference in Austria as one example, while ACM-W India found female-only hackathons to be an excellent strategy for convening women across India. "Our ideas about the kinds of people who work in the computing field, and the real or imagined barriers to their participation, are being redefined every day," Hanson writes. The Top500 list of the fastest high-performance computers (HPCs) places China at the head of the race toward exascale. China also has 167 supercomputers on the list, more than any other country, including the U.S, which has 165. Gartner analyst Chirag Dekate says the Chinese "believe that to dominate the economies of tomorrow they need to control the supply chains of emerging technologies." The top HPC on the list is China's Sunway TahiuLight at the National Supercomputing Center, which sustains a performance of 93 petaflops on more than 10 million cores. The U.S. plans to approximately double that system's performance via the 200-petaflop Summit computer from IBM, scheduled for deployment in 2018. Dekate expects China to be the first country to penetrate the exaflop realm. Meanwhile, Hewlett-Packard Enterprise's Bill Mannel says the high costs of space, power, and hardware for exaflop computing will keep reliable exascale HPCs from realization until the first third of the next decade. Experts also agree future HPCs will have more refined user applications, with Cray's Barry Bolding predicting an intersection of analytics, simulation, modeling, and big data in five to seven years. "People will want fast insights into their data to predict the risks they face and decide how best to use resources," Bolding says. Australian researchers say they have dramatically expanded the time in which future silicon quantum computers would be able to perform calculations. Researchers at the University of New South Wales (UNSW) report their new quantum bit (qubit) can remain in a stable superposition for 10 times longer than previously achieved. UNSW's Arne Laucht says the breakthrough will enable researchers to build more reliable quantum computers. He notes they will be able to work with the same fabrication process used for today's computers. The new quantum bit consists of the spin of a single atom in silicon merged with an electromagnetic field, known as "dressed qubit." The new dressed qubit can be controlled in a variety of ways that would be impractical with an "undressed qubit," Laucht says. "We have now implemented a new way to encode the information: we have subjected the atom to a very strong, continuously oscillating electromagnetic field at microwave frequencies, and thus we have 'redefined' the quantum bit as the orientation of the spin with respect to the microwave field," notes UNSW professor Andrea Morello. Black students are less likely to have computer science classes in school and to use computers at home than white students, despite being more interested in learning computer science, according to a new Google/Gallup report. Although traction for computer science education in K-12 schools is growing thanks to pushes from parents, teachers, major technology firms, and many institutions, persistent structural and social obstacles continue to bar girls and minorities from studying the subject, according to Google's Sepehr Hejazi Moghadam. "Ultimately, we have got to steer away from computer science education being a privilege for some and move towards more broad access to quality computer science learning for all students," Moghadam says. Although Google reports hiring more black and Hispanic employees, this has not changed the general portion of underrepresented minorities in the company's workforce. Moghadam says product development by women and minorities, in addition to product use, is essential to Google's continued relevance and sustainability. "For us, a diversity of perspectives, ideas, and cultures within the company and the industry overall lead to the creation of better products and services that meet the needs of all users," he says. The lack of data on how driverless automobiles' performance compares with human drivers makes it difficult to determine the safety benefits of autonomous vehicles. Google's Chris Urmson says part of the problem "is we don't actually have a good understanding of how good human drivers really are." The U.S. government does not maintain a comprehensive database on automobile crashes, which makes determining whether computer- or human-driven cars are more likely to crash problematic. Google wants the U.S. National Highway Traffic Safety Administration (NHTSA) to produce a comprehensive database, while NHTSA chief Mark Rosekind warns automated vehicles are no safer than cars driven by humans. Rosekind has asked manufacturers, software developers, and safety experts across the U.S. to devise new safety metrics for the realities of automated driving. Meanwhile, skeptics of automated car technology are concerned with federal officials recommending the government obtain more insights on effective safety metrics and testing standards from industry. Industry and federal officials often cite the statistic of human error causing 94 percent of U.S. car crashes as the key motivator for putting driverless cars on the road. However, tracking actual safety gains will be complicated because for years humans will be superior to robots in different areas, and vice versa. Researchers from the University of Tokyo's JSK Lab say they have developed a more efficient way to cool humanoid robots. The team led by professor Masayuki Inaba has designed a humanoid named Kengoro to sweat water straight out of its skeletal structure, and the trick was to exploit how the robot's frame is constructed. Kengoro is laser sintered from aluminum powder, which is an additive manufacturing technique that can print complex structures out of metal. Inaba says the laser-sintering technique is precise enough to build up aluminum structures with areas of both low and high permeability, enabling the researchers to make seamless metal components that have microchannels embedded in them through which water can flow. However, instead of only leaking water all over the floor, laser sintering permits the water to seep from an inner porous layer into a more porous region near the surface of the frame, from where it can evaporate out into the air. In tests, Inaba notes the method was three times better than air cooling, significantly better than just circulating water through the interior channel, but not as effective as a traditional radiator using active cooling. Researchers at the University of Waterloo in Canada say they have recorded an interaction between light and matter that is 10 times larger than previously seen. The team in the Institute for Quantum Computing (IQC) fabricated aluminum circuits, and then cooled the circuits to as cold as one percent of a degree above absolute zero to turn them into superconducting quantum bits (qubits) that obey the laws of quantum mechanics and can behave as artificial atoms. To control the quantum state, the researchers sent photons using microwave pulses into the superconducting circuit and applied a small magnetic field through a coil inside a dilution refrigerator. The team measured the photon transmission, and found a range of frequencies broader than the qubit frequency itself. "This means there is a very strong interaction between the qubit and the photons," says IQC's Pol Forn-Diaz. He notes this finding is exciting because it means the circuit could potentially act as a quantum simulator to study other quantum systems in nature. The researchers say the research could enable them to explore new physics related to biological processes, exotic materials such as high-temperature superconductors, and relativistic physics. The Washington Post (10/17/16) Sam Corbett-Davies; Emma Pierson; Avi Feller; et al. An analysis by ProPublica found the COMPAS algorithm used by U.S. courts to make bail and sentencing decisions based on how much of a threat defendants present is biased against black defendants. Disagreement with this assessment by COMPAS developer Northpointe prompted ethical questions about algorithmic fairness to be raised, and from this comes the surprising finding there is a mathematical limit to how fair any algorithm can ever be. COMPAS scores defendants to signal their likelihood of recidivism according to numerous factors that exclude race. An analysis of data on about 5,000 such defendants found the scores to be highly predictive of reoffending. Yet ProPublica reported among defendants who did not reoffend, blacks were more than twice as likely as whites to be categorized at a medium or high risk, and were treated more harshly by the courts. Despite the contention that a fair algorithm cannot commit these errors more frequently for one race group than for another, it is impossible for a risk score to fulfill both fairness criteria simultaneously. COMPAS' possible bias cannot be verified due to Northpointe's refusal to disclose the details of the algorithm's workings. Meanwhile, re-arrest may be a prejudiced measure of public safety. Careers, research, and networking are the focus this week at the 16th Grace Hopper Celebration of Women in Computing (GHC) in Houston, TX. "It really is an opportunity for women who are working in technical roles in the industry to get together to both share technical information and ideas and skillsets, but also to share inspiration, encouragement, and to partake in sessions that will help them to expand their skill set, both technically and professionally," says the Anita Borg Institute's Elizabeth Ames. Research shows a network helps women stay in technology fields. "We want to make sure that when they go back...that they still maintain connections with other women so that they still have that sense of belonging," Ames says. GHC will host a career fair with more than 300 organizations recruiting candidates for the private sector, higher education, nonprofits, and governments. Undergraduates, graduates, and researchers will display posters illustrating their work, offering students a glimpse of the opportunities following graduation. GHC also will host the Technical Executive Forum for senior-level technical executives to discuss how to increase diversity in their organizations. "One of the most important things for those executives is really to just come to Grace Hopper and see how many incredibly talented and capable young women technologists are out there," Ames says. University of California, Riverside (UCR) researchers say they have developed a reliable and accurate navigation system that exploits existing environmental signals such as cellular and Wi-Fi, instead of the global-positioning system (GPS). The researchers say the technology can be used as a standalone alternative to GPS, or as a complement to current GPS-based systems to enable reliable, consistent, and tamper-proof navigation. In addition, the technology could be used to develop navigation systems that meet the requirements of fully autonomous vehicles. UCR professor Zak Kassas says researchers often have used an "everything but the kitchen sink" approach to prepare autonomous vehicle navigation systems for the scenario in which GPS signals become unavailable. However, Kassas says the UCR researchers took a different approach by exploiting signals that are already out in the environment. Instead of adding more internal sensors, the researchers have been developing autonomous vehicles that could access the hundreds of signals already in the environment, such as those from cellphones, radio and TV transmissions, Wi-Fi, and other satellites. The team demonstrated research that exploits these existing communication signals, or signals of opportunity, for navigation. "Our overarching goal is to get these vehicles to operate with no human in the loop for prolonged periods of time," Kassas says. Researchers from the Tokyo Institute of Technology (Tokyo Tech) in Japan have demonstrated the potential of a new, thin-film ferroelectric material that could improve the performance of next-generation sensors and semiconductors. The team conducted experiments to determine the ferroelectric properties of hafnium oxide (HfO2), a crystal structure that can be deposited in ultra-thin films. The researchers say they knew that an "orthohombic" crystal such as HfO2 would probably exhibit ferroelectricity, but they wanted to pinpoint the material's spontaneous polarization and the point above which the material stops being ferroelectric due to crystal restructuring, known as the Curie temperature. The researchers accomplished this by growing a carefully ordered crystal on a substrate, a process known as epitaxy, which would give them well-defined data on an atomic scale. The researchers found one specific epitaxial film exhibited ferroelectricity with a spontaneous polarization of 45 uC/cm and a Curie temperature of 450 degrees Celsius. They say their findings mean the material could fulfill functions for future technologies, as it exhibits compatibility with silicon-based semiconductors and is robust in miniature forms. The researchers say the new thin-film ferroelectric material could be applied to novel random-access memory and transistors, as well as quantum computing. They note the material is the first ferroelectric material compatible with silicon-based semiconductors. University of Southern California (USC) researchers say they are developing novel ways of capturing micro-expressions in the face that are essential to creating natural dialogue and nuanced actor-specific emotions. The researchers have developed a new head-mounted display that enables complex facial and realistic speech animations. "We want to let people unleash their creativity and come up with their own ways to beat boredom during office meetings," says USC professor Hao Li. Last year, the researchers say they built the first face-to-face interaction between virtual reality (VR) users wearing head-mounted displays in collaboration, and now they have developed a solution that enables realistic speech animation using deep neural networks. The new wearable system is based on FOVE, an eye-tracking VR headset, which uses integrated cameras to record eye motions and a mouth camera to track the lower part of the face. The researchers think this technology will be available to the general public in the next year or two, enabling users to attend meetings and events as characters from movies. Carla Brodley, dean of Northeastern University's College of Computer and Information Science, has been a key figure in the effort to get more students, particularly female students, interested in computer science. In an interview, Brodley discusses the various programs that have been implemented at Northeastern. She says the way to get more female students interested in computer science is to make it attractive to try the courses. For undergraduate students, Northeastern has created 26 combined majors, which bring together what is essential for a degree in social sciences, humanities, arts media, or design, for example, and in computer science. Brodley notes the "Meaningful Minors" program gives students the opportunity to take five computer science courses, while "Paired Courses" enable students to take a course in another discipline and at the same time take the introductory computer science course. At the graduate level, students participate in a two-semester bridge program to prepare for computer science course work and also go out on "co-op," the school's featured work study program. Brodley would like to see computer science enrollment at Northeastern be 50 percent female at the undergraduate and graduate levels by 2021.